Geiger said it “feels amazing” to hear how coming out as trans has helped her fans. 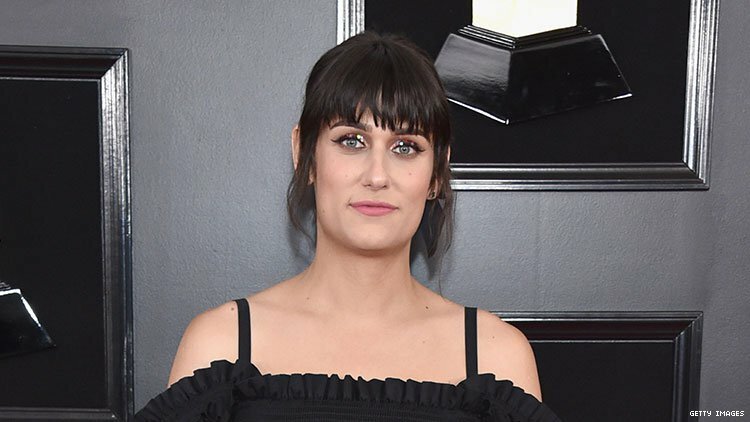 Songwriter Teddy Geiger, who is nominated for her work on Shawn Mendes’ smash hits “Stitches” and “In My Blood” at tonight’s Grammys, got candid on the red carpet about the power of her visibility as a trans woman in the music industry. The artist, who walked the Grammys red carpet with her fiancé, Schitt’s Creek star Emily Hampshire, also spoke about the “long journey” to her nomination for Song of the Year. “It feels like some validation, like ok, cool, the dream is coming true,” she said on Sunday.